MG has officially revealed the GS at the London Motor Show. The new crossover will be built in China and assembled at MG’s UK base at Longbridge. Prices are still to be confirmed, but the GS is expected to start from £16,500 when it goes on sale in June. The MG crossover will be powered by a turbocharged 1.5-litre petrol engine and be available in three different trim levels. There are no details about power outputs or fuel economy, but MG has confirmed that top spec models will get an automatic DCT gearbox as standard. The GS will most likely be launched with a front-wheel drive powertrain, but a rugged four-wheel drive model is expected to be added to the range, along with diesel engines in 2017. MG hasn't indicated how much the GS will cost to buy, but has said it will "reflect the family pricing strategy" of its other models. Expect the GS to undercut the Hyundai Tucson, with the range starting from under £17,000. 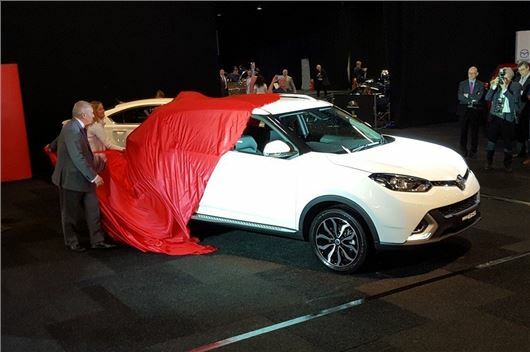 The MG GS is already on sale in China, but was designed and engineered at the SMTC Technical Centre at Longbridge.